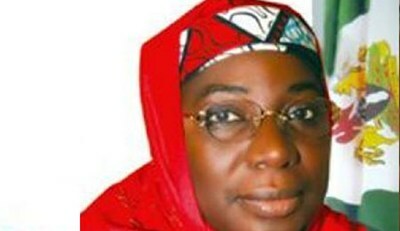 The Minister of Education, Prof. Ruqayyatu Rufa'i, on Thursday announced that students of the suspended faculties of Medicine, Veterinary Medicine and Engineering of the University of Abuja, might be transferred to other institutions. Rufai said the Federal Government would take this decision if at the end of six months, the university authorities were unable to meet accreditation requirements. Rufai made government's position known at a meeting with representatives of students of the university. She also announced the setting up of a task team to liaise with the authorities of the University of Abuja to fast-track the provision of the necessary facilities. She, however, said, government was yet to shift ground on its earlier suspension of three faculties of the university. The minister said officials of the ministry, the NUC and TetFund would on Monday meet with regulatory bodies such as the Medical and Dental Council of Nigeria, the Veterinary Council of Nigeria and Council for the Regulation of Engineering in Nigeria to decide the way forward. Rufai said, “The point is that these programmes will have to remain suspended; until in the next two, three months when we see progress of work done, I will not take any chance. “We will continue our meetings with the various professional bodies in terms of preparations in case the six months period does not work. “It is our hope based on what NUC has said and based on what the VC is saying that things may be fixed within this room we have given the university. According to her, the VC is also required to fix the problems affecting other faculties within the university. In his remarks, the Executive Secretary of the National Universities Commission, Prof. Julius Okojie, said with political will, appreciable progress could be made within the period. Earlier, President of the University of Abuja Medical Students' Association, Uchenna Anyanwu, read a resolution arrived at after a meeting of the body on the issue. While appealing to the minister to give the Vice- Chancellor the needed support to meet the six months deadline, the students expressed a desire to be transferred elsewhere if this option fails.